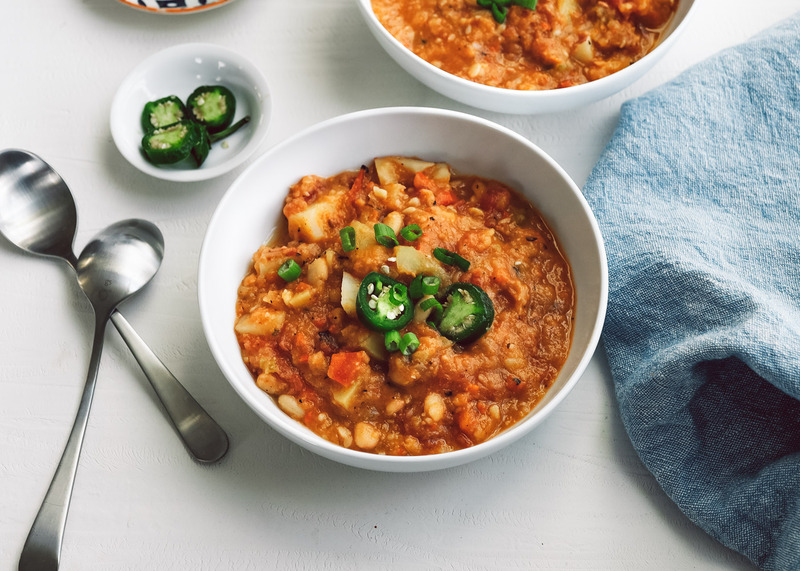 Chili is everyone’s cold day best friend. 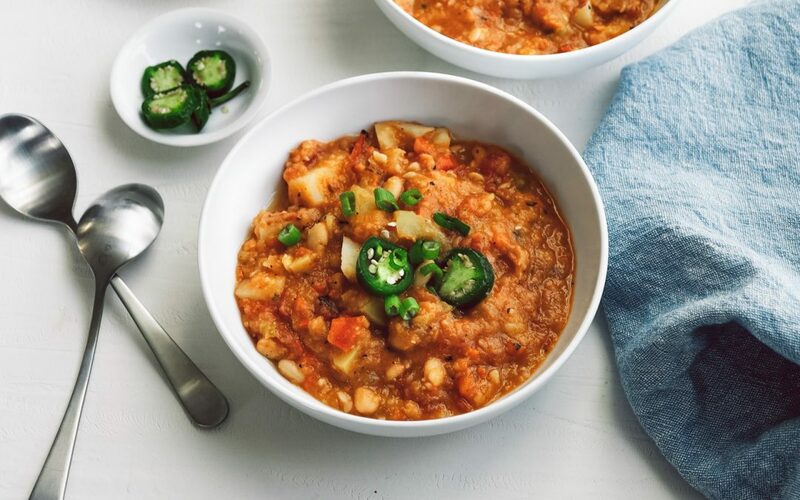 This White Bean Chili brings in fire roasted tomatoes for an extra kick. Hearty potatoes thicken up the soup and we recommend serving it with crunchy sourdough bread. Enjoy for a cozy night in! We hope you enjoy. Don’t forget to tag us on Instagram at The Urban Veg if you make this, and let us know what you thought in the comments below! Prep your vegetables. Dice the onion, carrot, celery and jalapeno. Mince the garlic. Chop the potatoes into bite size pieces/ cubes. Heat a large soup pot on medium. Once hot, add vegetable oil and let heat 1 minute. Add the onion, garlic and jalapeno. Cook until the onion is translucent, then add the carrot, celery, cumin and thyme (if using) and cook for another minute. Add the fire roasted tomatoes, potatoes and veggie broth. Bring to a boil and then simmer until the potatoes start to soften, about 10 minutes. Drain the beans then add them to the pot. Stir well and cook for another 5 minutes. Check for taste and add chili flakes if you want heat. Add in the salt, pepper and squeeze of lime and stir well. If desired, use an immersion blender or pour half of the soup into a blender to make it thicker and creamier. Serve topped with any of these: jalapenos, avocado, green onions, cilantro...get crazy. Add a side of crunchy sourdough bread and enjoy!